Most people have some experience with acne. Some suffer from only an occasional blemish or breakout. Others suffer from chronic acne with varying severity. At the first sign of acne, many people purchase over-the-counter, or OTC, products containing salicylic acid or benzoyl peroxide. These products are recommended for mild acne or sporadic breakouts. Unfortunately, high prescription costs or other circumstances sometimes hinder the ability to seek dermatological treatment for people with severe or cystic acne. For these people, benzoyl peroxide and salicylic acid may be the only options available, but which is most effective? Salicylic acid and benzoyl peroxide are acne-fighting ingredients used in a multitude of OTC products. The majority of OTC acne skin-care systems contain one or both of these ingredients. Salicylic acid is often used in cleansers, toners, astringent pads and gels at concentrations of about 1 to 2 percent. Cleansers, lotions and masks may contain benzoyl peroxide in varying concentrations ranging from 2.5 percent to 10 percent. Dermatologists sometimes prescribe benzoyl peroxide mixed with prescription antimicrobial gels for more moderate to moderately severe cases of acne. Salicylic acid corrects uneven or irregular sloughing of skin cells which prevents dead skin cells from sticking together and clogging pores. According to the American Academy of Dermatology’s AcneNet, salicylic acid is most effective at eradicating non-inflammatory acne such as blackheads and whiteheads. It does not reduce excess oil or bacteria, which are the key factors in developing inflammatory acne. Salicylic acid is fairly mild on the skin, and mild stinging or irritation is the most common side effect. Breakouts will likely return once stopping salicylic acid treatment, therefore, continued use is recommended. Benzoyl peroxide reduces acne by reducing excess oil production. Higher concentrations of benzoyl peroxide produce more of this effect. Benzoyl peroxide also fights the skin bacteria P. acnes. 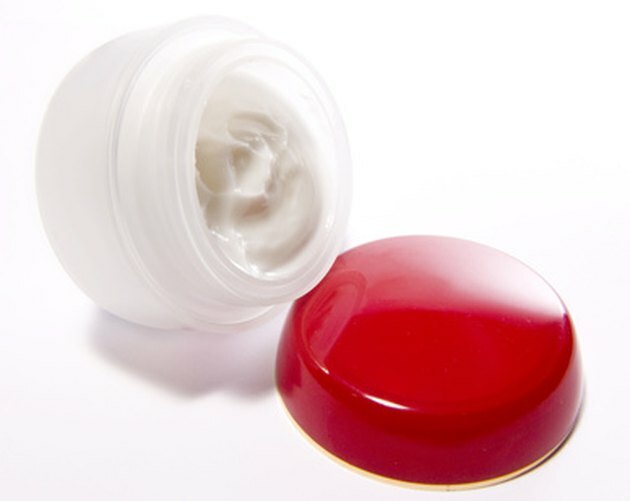 Bacteria mix with excess oil and travels into the pores. When oil and dead skin cells mix and form a sticky plug in the pore, the bacteria becomes trapped and multiplies until the follicle bursts, resulting in inflammatory acne. Benzoyl peroxide effectively treats some cases of inflammatory acne because it reduces these factors. Excessive skin dryness is the most common side effect associated with the use of benzoyl peroxide. People with dry or combination skin may benefit from a lower concentration while those with oily skin may benefit from a higher concentration. Like salicylic acid, acne often returns once benzoyl peroxide is discontinued so ongoing treatment is necessary. Cystic acne is a very severe form of inflammatory acne. Some people who suffer from moderate acne may experience the occasional acne cyst. Cystic acne consists of chronic breakouts with multiple cysts and nodules. An acne cyst occurs when the bacteria in the pore multiply deep in the pore until the wall of the follicle ruptures. Bacteria and debris from the follicle spill out into the dermis, or the middle layer of skin. A membrane grows around this infection, forming a cyst. The cyst makes its way to the surface of the skin and damages skin tissue along the way. According to MayoClinic.com, acne cysts can cause scars. This type of severe acne typically requires medical treatment by a dermatologist which often includes oral medications along with topical medications. Cystic acne is a very serious skin condition that should always be evaluated by a dermatologist. If financial or other circumstances prevent seeing a dermatologist, then OTC medications may be used as a weak substitute. Salicylic acid does not treat the factors that lead to developing cystic acne such as excess oil production and bacteria. Higher concentrations of benzoyl peroxide may be able to reduce some cases of cystic acne by reducing bacteria, excess oil and inflammation. Cystic acne can cause severe and permanent scarring when left untreated, so consulting a dermatologist to formulate an effective treatment regimen is highly recommended.